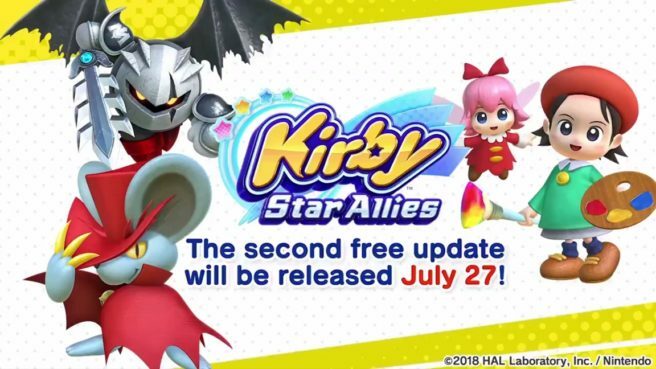 Nintendo has pushed out the latest Kirby Star Allies update, bringing in three new dream friends into the game. As previously promised and shown off, Adeleine & Ribbon, Dark Metaknight, and Daroach will join in the game. The update also includes three new celebration pictures and bug fixes. You can read the full patch notes below or from Nintendo’s support page here.